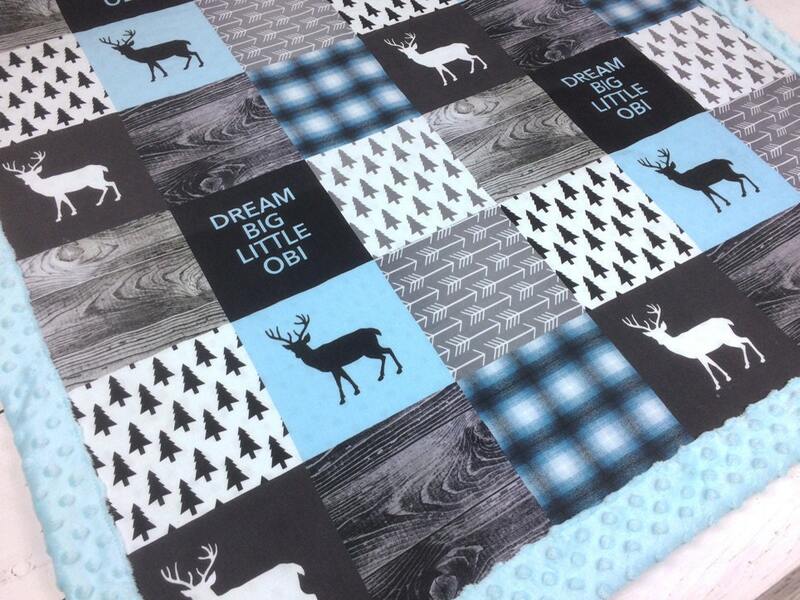 Luxurious and cozy two layers minky blanket, nicely finished, with a gorgeous lumberjack design in blue, gray and black featuring deer, plaid, arrows and wood! Personalize it with the name or text you want! 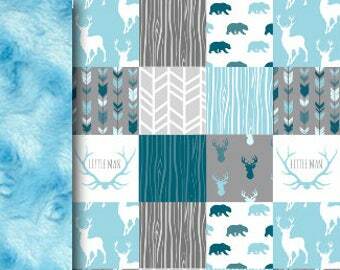 Absolutely love these blankets! They are beautiful and super soft. Great quality! And our son loves them too! Thank you for my orders.